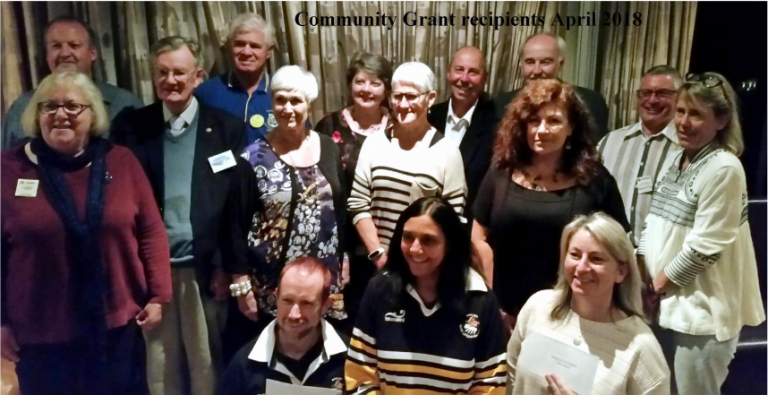 The Rotary Club of Encounter Bay supports the community with regular grants to support organisations that have limited access to funding, but serve and help others. 1. Encounter Bay Family History Group: to purchase a laptop and software to facilitate research, community workshops and projects. 2. Encounter Bay Netball Club: to purchase a new PC for the Club. 3. Southern Fleurieu Historical Museum: for professional signage in a larger format as their current small format is no longer adequate. 6. Pt Elliot Tennis Club: to purchase new net posts and nets to complement recent improvements to provide quality facilities for the community. 9. Fleurieu Male Choir: to purchase a powered speaker, microphone and stands to enable them to provide accompaniment when their accompanist is unavailable and to assist artists so all can hear. 10. Riding for the Disabled: to build a small storage shed and cement floor to store hay for when horses are kept at the centre overnight before a riding day. 11. Harborites Ukulele Group: to purchase 3 instrument microphones and 1 vocal microphone to provide entertainment to senior groups. 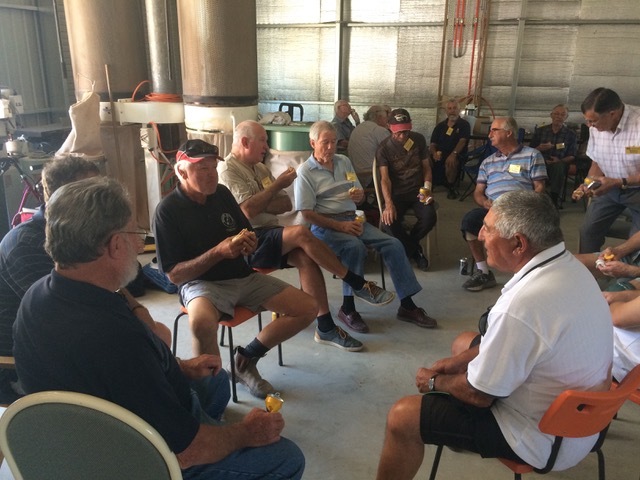 THE ROTARY CLUB OF ENCOUNTER BAY helped make possible the development of a Men's Shed in Martha Close Victor Harbor with a grant of $40,000 over two years. After 6 years of planning and working towards this project, those participapating held their first meeting in the (as yet) unfinished New Shed on Friday 9th March. 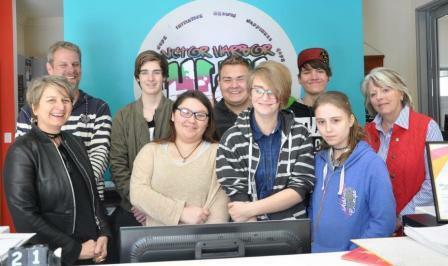 There were 35 people at lunch time and many more involved in total! The painting has been finished, the kitchen floor & fan unit is in, the water tank is installed, & the large machines have been brought into the the workshop area. Unfortunately, no power yet, but they are getting by with generators while waiting on ETSA! As there are many jobs to be done which are not covered by the grant money, members contribute. $5 per week to help cover those costs (eg buying paint for the machines to be painted). The RCEB is proud of its signifant contribution making this initiative a possibility. 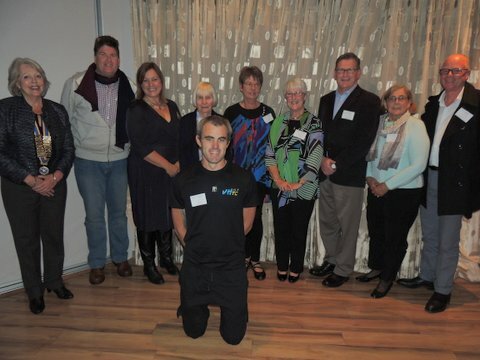 THE ROTARY CLUB OF ENCOUNTER BAY The Rotary Club of Encounter Bay nominated an innovative Wilderness Therapy Expedition for students at Victor Harbor High School’s Flexible Learning Options (FLO) as its Signature Project for 2016-17. 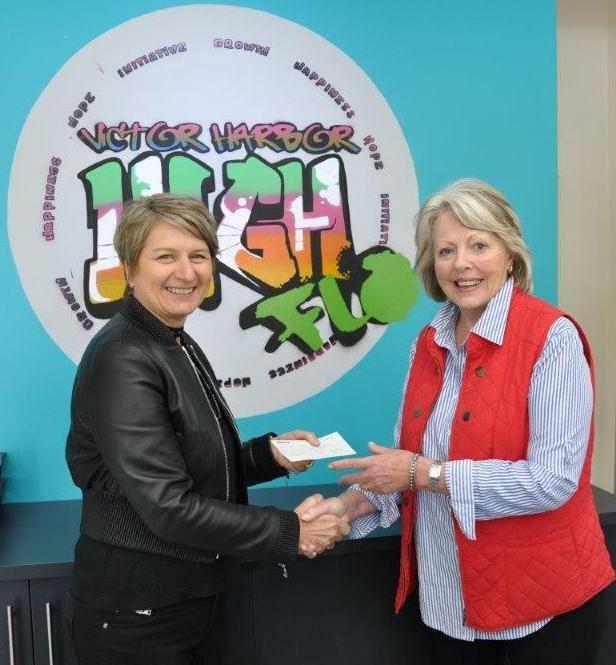 The Club has provided support to FLO over many years,including funding for the purchase of new computers. Assistance has also been given to encourage students to attend the very successful local Road-safe Youth Driving Awareness program which is run by the club. Funding enabled students from FLO to take part in the 14-day Wilderness Therapy Expedition which (while similar to South Australia’s long-standing Operation Flinders program), is run on a therapeutic base. The expedition leader, Will Dobud, is a young American who has successfully worked formany years with disadvantaged young people in remote areas of Canada and Alaska. Club members are actively involved in activities that support our environment. 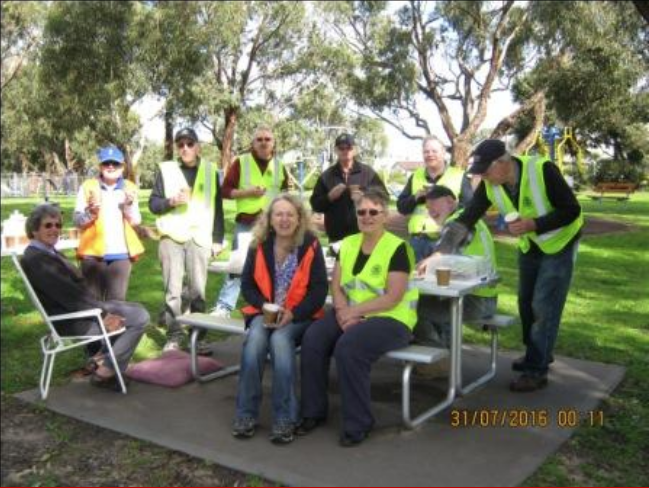 Each June the club works with the Victor Harbor City Council as part of a tree planting exercise. In 2017 another 250 native coastal shrubs were planted on the fringe of Kent Reserve. More will be planted in 2018.